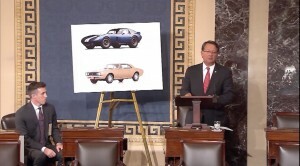 The current law allows car makers to accumulate credits for up to five years but Blunt’s bill would allow manufacturers to use any and all credits accumulated going all the way back to 2009, which would make it easier for companies such as General Motors Co., Ford Motor Co. and Fiat Chrysler Automobiles N.V. to meet the fuel-economy goals during the coming four years. 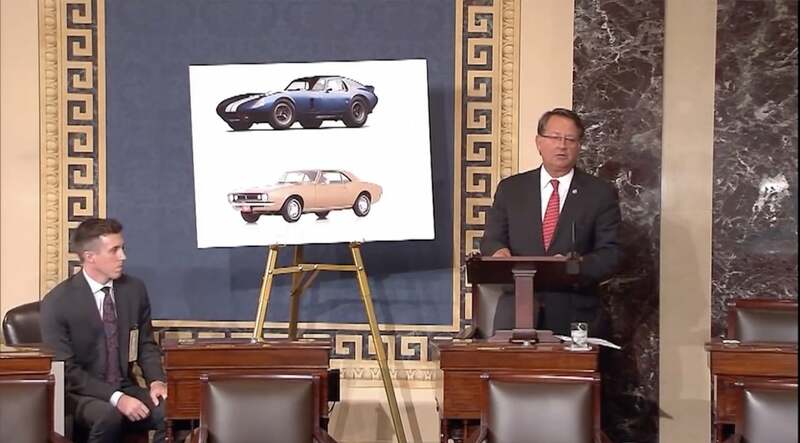 All three automakers have already quietly endorsed the bill through the American Automotive Policy Council, which is led by Senator Blunt’s son. However, it’s not unusual for anti-fuel-economy legislation from Democratic Senators from the Midwest. Former Michigan Senator Carl Levin was instrumental on any number of occasions in helping block efforts to raise fuel-economy standards for more than a decade. One thing Blunt’s proposed legislation does not challenge, though, is California’s ability to impose its own fuel economy standards on car makers. Nonetheless, environmentalists and critics of the auto industry are already crying foul. Jack Gilles, director of Public Affairs for the Consumer Federation of America, said the legislation would provide automakers with undeserved credits toward meeting fuel economy standards, impacting the efficiency of all vehicles but especially larger vehicles. “The effects of this bill are far reaching — it will allow manufacturers to make vehicles that are on average 3 mpg less efficient in 2021 than they are able to today (instead of 41 mpg, they will only have to get 38 mpg),” the Union of Concerned Scientists noted in its analysis of the bill. The Union of Concerned Scientists also noted that the Blunt Bill is the first Senate legislative attack on the Corporate Average Fuel Economy or CAFE standards in the current Congress and more are expected. Critics also warned the bill would ultimately crimp progress towards better and more efficient vehicles. The bill would stall innovation, harming auto parts suppliers that employ two and a half times more Americans than auto companies,” said David Richardson, executive director for Impax Asset Management, which manages approximately $8 billion in assets for institutional investors around the world. “Consistent, achievable standards are already in place that provide market certainty, ensuring returns on investments in research, development and production of fuel saving technologies. When you undermine America’s fuel- and money-saving clean vehicles standards, you undermine American economic growth,” he said. This entry was posted on Wednesday, May 31st, 2017 at and is filed under Automobiles. You can follow any responses to this entry through the RSS 2.0 feed. Both comments and pings are currently closed.